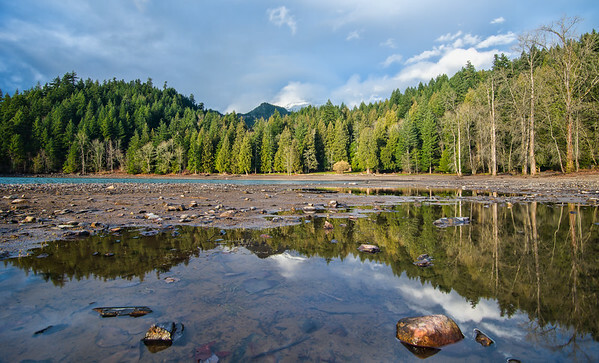 Sasquatch provincial park is near Harrison lake. 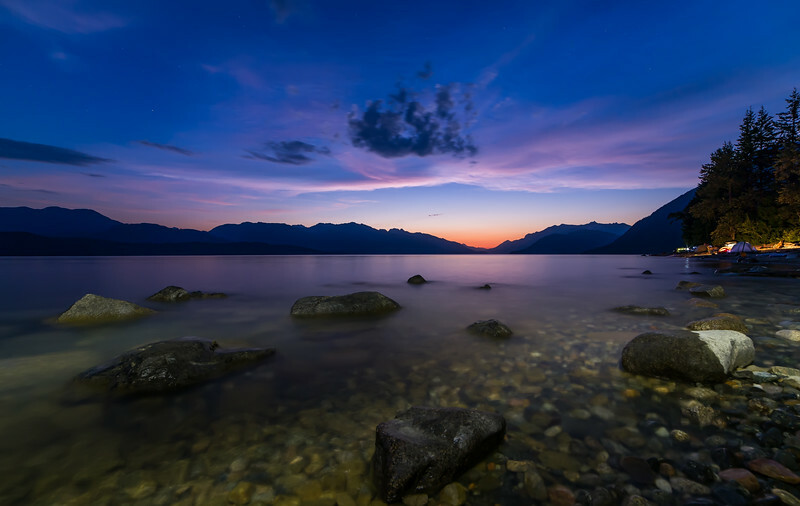 A great place to relax and chill by the lake. I hope to get out there for a weekend camping this summer. 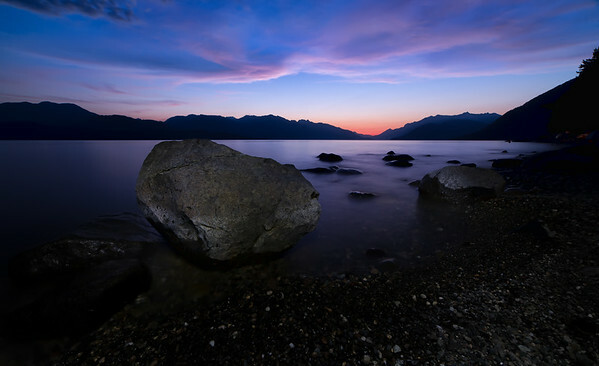 I just got back from a great weekend at Harrison Hot Springs. The town is nice and the hot springs were fun. 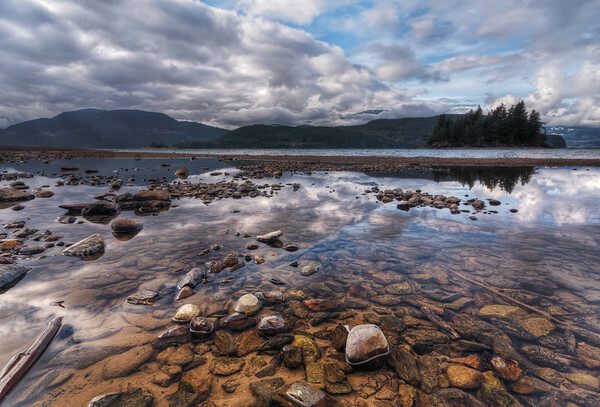 Next time I go back will be in the summer and I plan to camp at Sasquatch Provincial Park. This photo is from the day use area of the park. 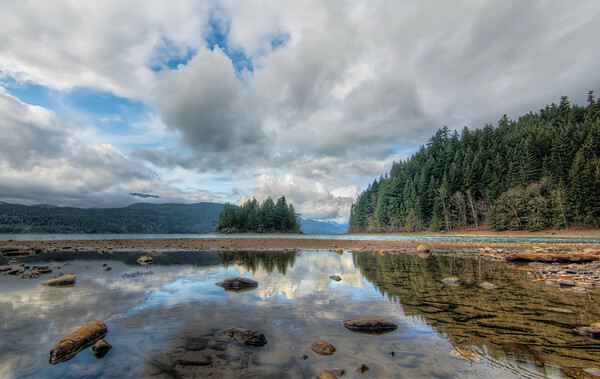 The tree line along Harrison Lake. 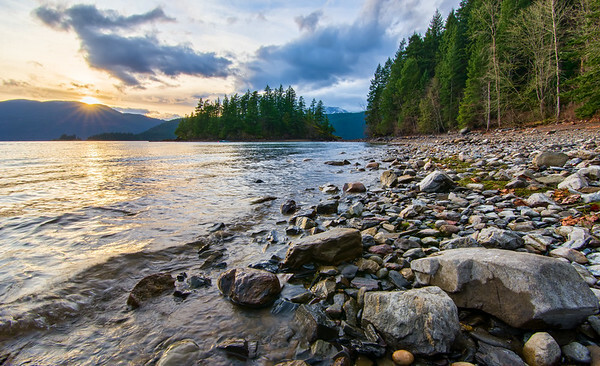 The rocky shoreline of Harrison lake. 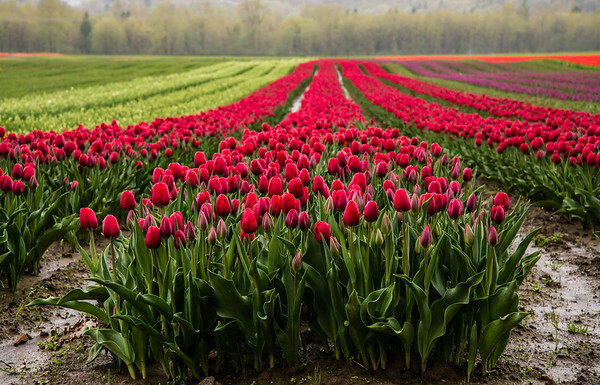 Pink tulips in spring near Harrison lake. 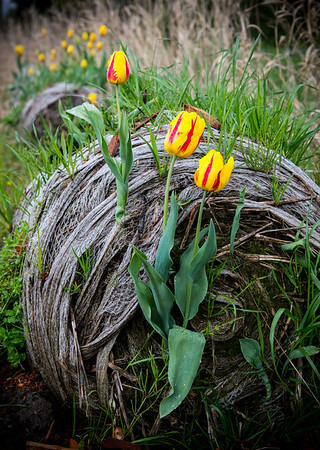 Another photo from the Agassiz tulip festival, this time purple. 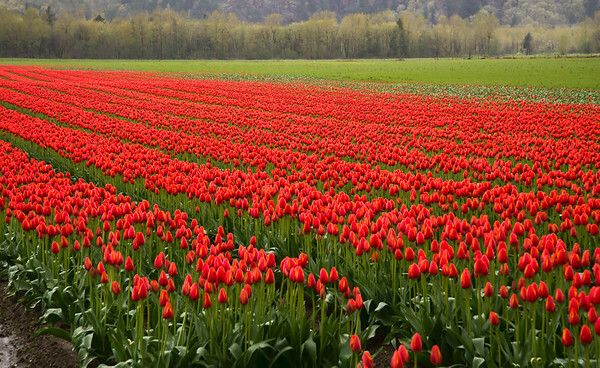 Try to count the tulips in this one. 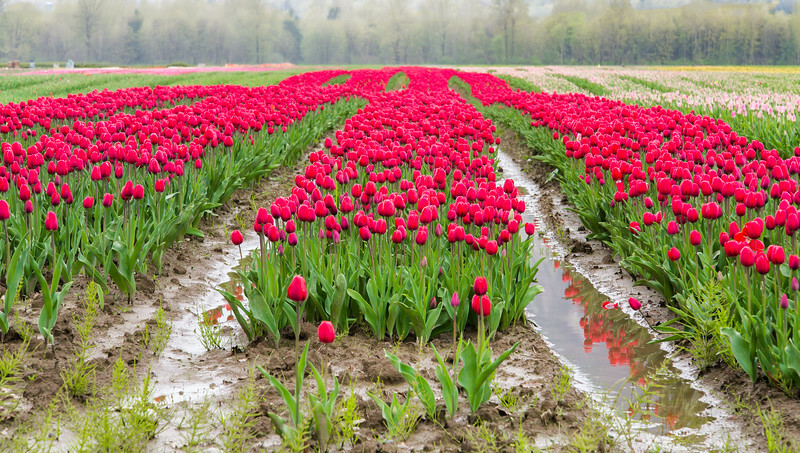 The Agassiz tulip festival opened today. We didn't have the best weather and not all the tulips are open yet, but this was our first time checking out the festival and it was worth the one hour drive to check it out. 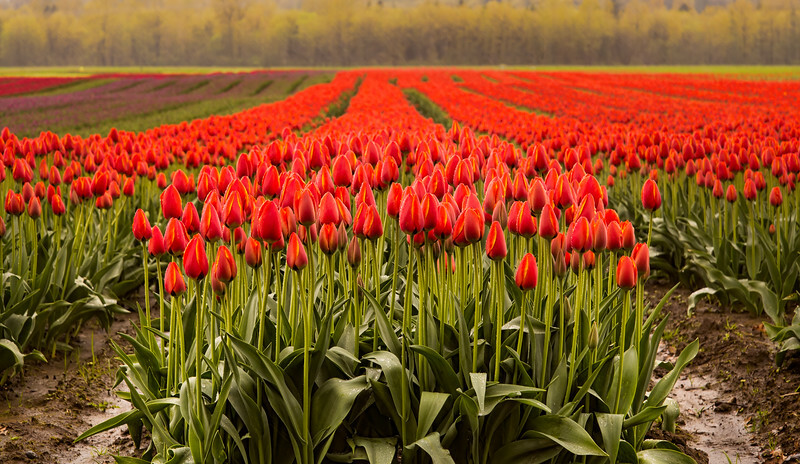 Tulips growing next to the tulip fields in Agassiz. 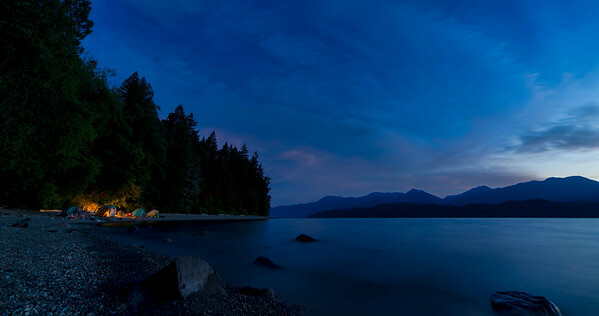 This was the evening view from my campsite at Cogburn beach. The day I took this photo there was not a cloud in the sky all day but some moved in just around sunset, which was perfect for my photos. The last little orange light of sunset before the stars came out. 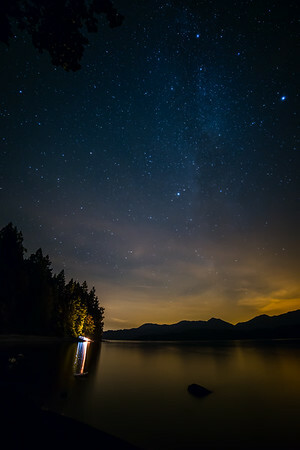 Harrison lake it a bit too close to the city to get a really clear milky way shot but you can make out a faint milky way in this one. 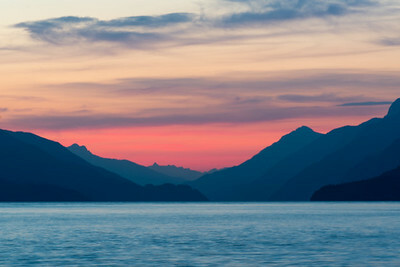 I love how Harrison lake seems to disappear into layers of mountains at the far end. Here are our neighbours when we were camping at Cogburn beach. 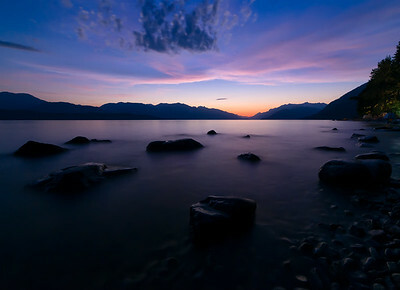 Taken right after sunset with the last light of the day lighting the horizon and the stars just starting to peek through the sky.